Buy the best quality luxury watch winders for luxury automatic watches designed for quiet, reliable, and long lasting operation because of their efficient and durable Swiss motors. Handmade in single and multiple module winder boxes using a variety of materials and finishes. 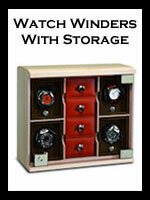 Buy top quality watch winders for storage and travel. Personalization and custom manufacturing available. 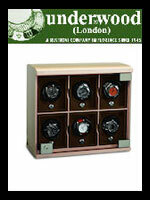 Complete Underwood Collection of watch winders and safes. 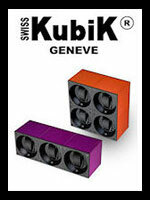 Luxury watch winders with modern designs produced in Geneva. 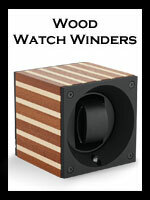 Luxury watch winder boxes and cabinets handmade with wood cover cases. 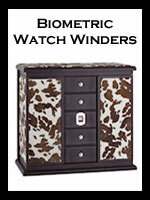 Pianki exclusive watch winders in collaboration with Underwood. 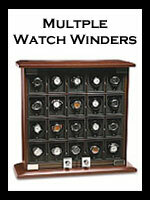 Both the Underwood Watch Winder Collection and the Swiss Kubik Watch Winders feature reliable Swiss motors. From a single automatic watch to a large collection of expensive luxury watches, we offer watch winder boxes, cabinets and even watch safes with winders in a various sizes. 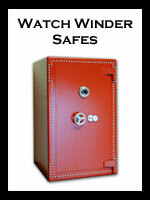 We can custom build watch winders in any size to accommodate any need. 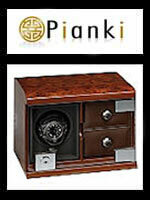 We offer a luxury watch winders and watch rotators compatible with almost any world class luxury watch brand. Contact us for special requests or special requirements for compatibility. 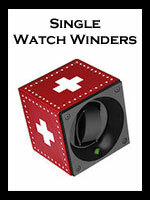 Rolex, Breitling, and Omega are just a few the automatic watches our customers use with our self winding watch boxes.